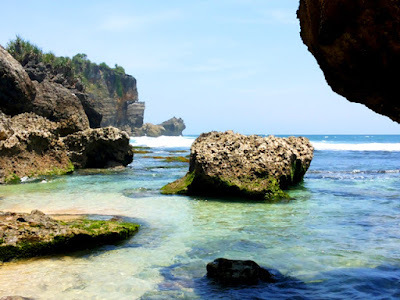 Siung Beach is attraction beach located in the hamlet Wates, Purwodadi, District Tepus, Gunung Kidul district, province of Yogyakarta Special Region. 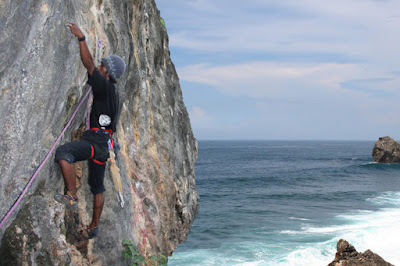 The location is approximately 77 km from the city of Yogyakarta and have a rock climbing adventure tourist locations with 250 lines of international standard. 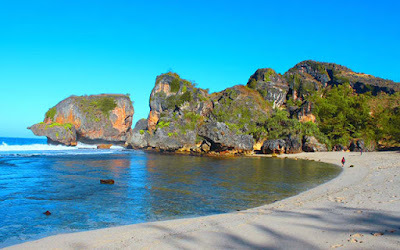 To go Siung Beach, you should use private vehicles or rent a car because there is no public transport that can reach this beach location. 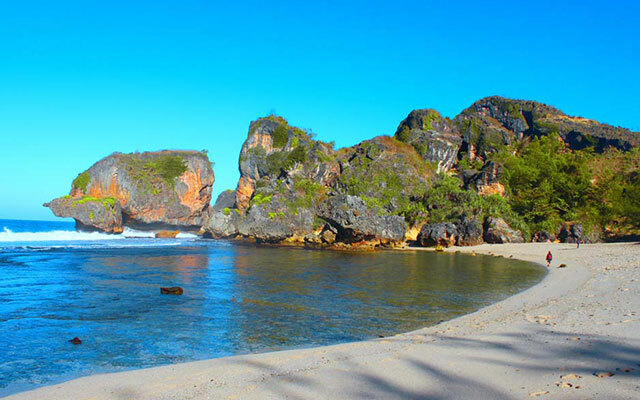 Along the way to the beach Siung, you will see the views of limestone hills covered with teak trees. The condition of the road to Siung is good enough, but many artifacts twists and climbs, is a challenge that you must pass before reaching Siung. Exhausting trip will not be felt when you were in the area Siung. Beach with white sand and the sound of the waves, will create a mood and your mind calm and peaceful. Which makes this beach unique rocks are very large which is along the east coast to the west coast and the towering cliffs around the beach is perfect for lovers of rock climbing. These cliffs have a height of about 15 meters. On the Cliffs Siung is there are 250 climbing routes with varying difficulty. 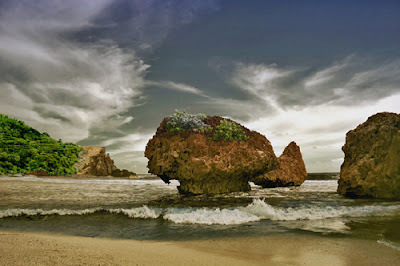 These cliffs mememiliki varying character. These characters are divided into several blocks, ie for artificial climbing, aid climbing and free climbing. 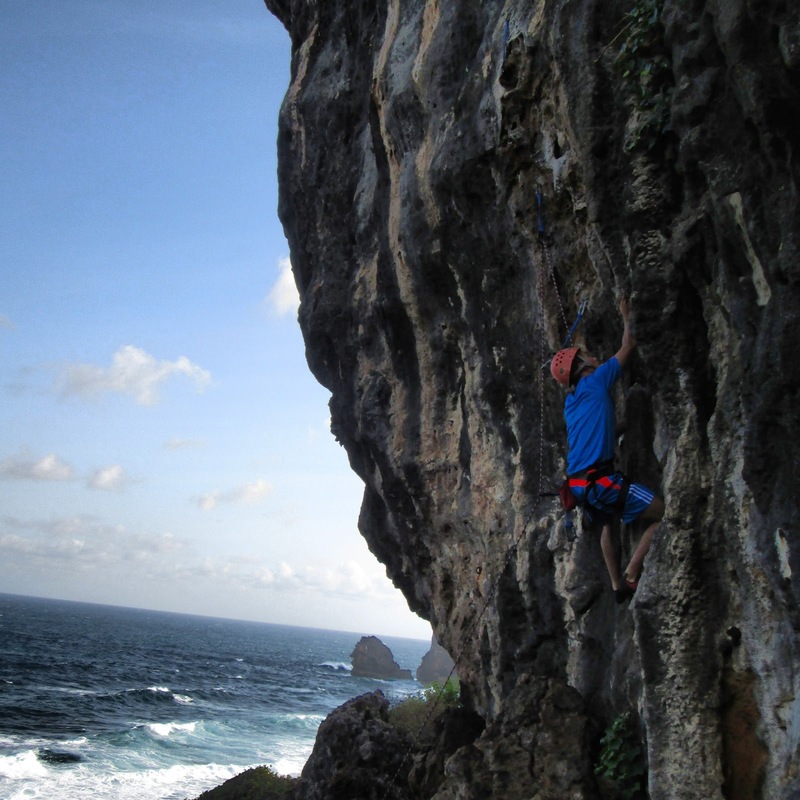 Usually climbers choose to use the path Sea Horse is famous for beautiful scenery. 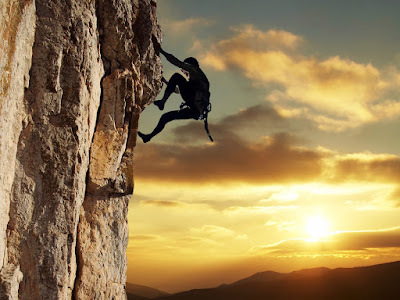 So fatigue while climbing the cliffs will be lost after getting scenery that can not be expressed in words. 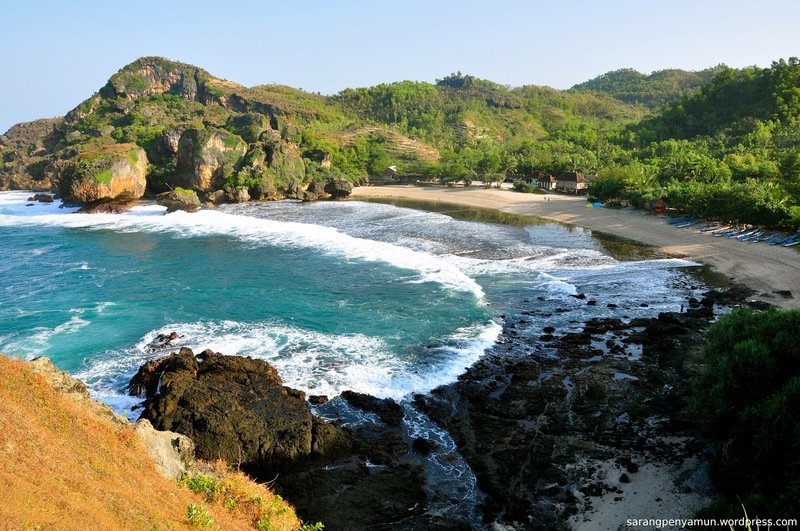 Because the beach is so secluded, the facilities available are still very few, only available large parking lot, restrooms and food vendors. For the venue is not available here, if you want to spend the night in Siung Beach, you can use the cottage climber that looks like a house on stilts with a capacity of approximately 15 people. You can also bring a tent and camping at the camping ground is behind the cliff. If you are from the city of Yogyakarta, you can use the lanes-Wonosari Yogyakarta-Tepus-Purwodadi-Siung Beach. If you use public transportation, you can use the bus from the Bus Terminal Yogyakarta by bus Jogja-Wonosari. Wonosari arriving at the terminal, you can use the public transport department Wonosari-Tepus. Once Tepus terminal, you can use a motorcycle taxi, because the only public transportation that can be used to Siung Beach. The trip from Yogyakarta takes about 2 hours.